The CMA Eagles won their Sectional Championship game! And what a game it was. The Eagles shut out New Prairie for a 14-0 win. 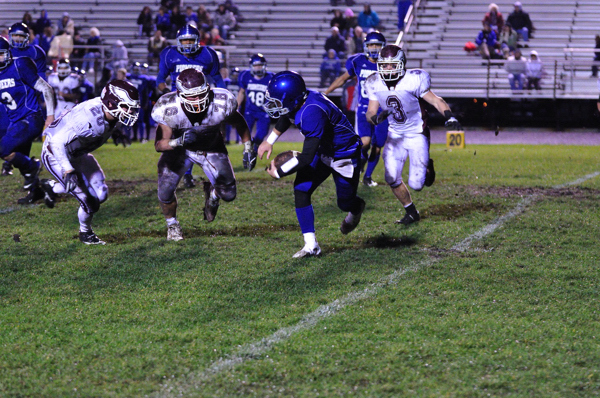 All of the Culver Eagles’ points came in the first quarter making the other three quarters an intense game. As you can see in the pictures, it was a rainy, muddy game. The defensive team had one of the best games of the season. At least three times, they held the other team from scoring when they were within 15 yards of the goal line. Each time New Prairie tried for the fourth down score or first down, the defense stopped them. The defense has held the other teams scoreless in tournament play. If they continue to do so, we’ll go all the way! Ginny and I enjoyed taking the photographs of this football team all season, and we are thrilled we got to photograph their victory in the Sectionals. Go Eagles! For more photos, you can visit www.culverphotos.com. There are over 500 photographs uploading there. It will take 24 hours for the photos to upload, but by end of weekend, you can see what an exciting game this one was. Today, we met again with Shae Harris to take some photos that included props from her school activities and her car. And, we met 10-year-old Ally, Shae’s sister, and Nick, Shae’s boyfriend. Ally is not only funny, but she’s also creative. She came up with some fun ideas for posed pictures and outdoor pictures on the swing set. Though Nick was coming from basketball practice, he was very accomodating of us and agreed to take a few shots. What a nice guy, and we know he has good taste! We took a few shots just as it was getting dark, and though the lighting wasn’t ideal, the couple was. We went for the goofy, the creative, the props, the car, some school signs, and the beautiful Shae. It was a fun photoshoot. We’ve uploaded more photos to the Shae gallery. Thanks Shae and Harris family. We love your humor and your kindness. Both seem to run in the family! Congrats to Shae and Nick on their senior year. Hope your final months are filled with fond memories! The rain finally stopped long enough for us to take photos. Today, Ginny and I shot Shae Harris. 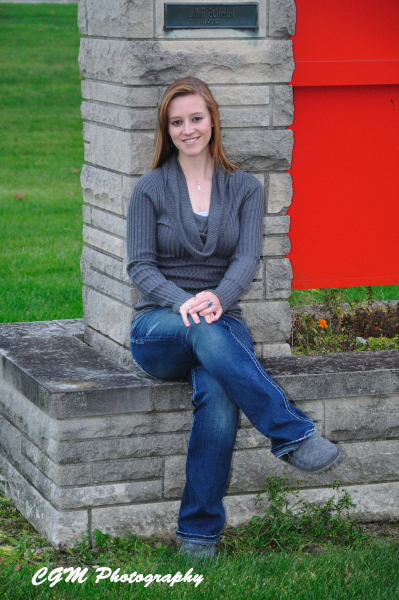 Shae is a senior at Culver Community High School, and she is the daughter of Robin Harris, a friend of Ginny’s. We had planned to take photos of Shae at a beautiful yellow tree near the dentist’s office, but this weekend’s weather took the leaves off of the tree, making a barren background. Ginny and I had scouted a few other locations, and we were lucky enough to get those to work, as all the leaves haven’t fallen yet and there were some great backdrops to work with, and some decent lighting. The weather held out, and the sun actually came out for a few shots. And Shae was beautiful. She has a natural smile and easy-going personality. 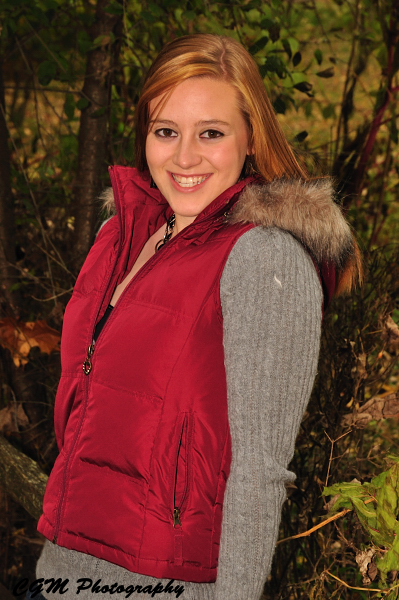 We had a great time shooting her in the natural settings of Fall. Later in the week, we will shoot more photos of Shae to capture what she does at school and her car. Thanks for your patience today, Shae. We had a great time with you and know you have a great future ahead of you. 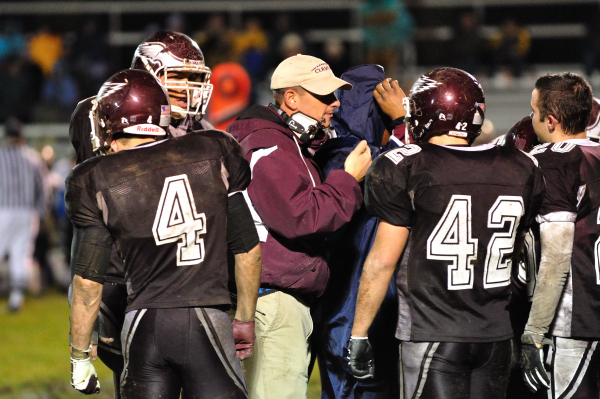 For those of you who braved the artic cold, long drive, rain, and 30-mph winds to travel to Hammond for the CMA Eagle’s first Sectional game, you know the miseries of the weather were quickly forgotten once the team took to the field. Tonight, the Eagles played one of their best games of the season, resulting in a shutout against the 8 and 1 team of Hammond Clark. The final score was 21 Eagles, 0 Hammond. The game and the players were a wet, muddy mess when it was all over, though I suspect that none of them realized this until they were on the bus headed home. The Eagles should be proud. They played a great game and conducted themselves professionally and with sportsmanship. If this is any indication of future tournament games, they should go far. I’ve posted a few photos here; there are hundreds more at www.culverphotos.com. Please note that due to IHSAA tournament regulations, these photos are not for sale. If you would like any of these photos, please contact me. This evening the CGA Varsity Soccer team traveled to South Bend to compete in the State Regional Tournament against the South Bend Riley soccer team. Both teams played hard and fair, though Riley proved to be a tough opponent. Culver lost 2 to 1. One of the excitements of the game was when there was only 8 minutes left in the game and Culver scored their goal on a long penalty shot. With this goal, you could see the players’ determination change on the field. For the girls who had been playing for 72 minutes, there was a new found energy as they knew there was a chance of scoring again to tie the game. Riley found that same energy though with their efforts to keep Culver from scorring a second goal. The last eight minutes were intense and fun to watch though the outcome was not what we had hoped for. I’ve posted more photos at www.culverphotos.com. Until I research ISHAA’s tournament rules further, my photos from tonight’s game are only for viewing and will not be sold. I hope to clarify things in the next few days. While Ginny and I were in Chicago for our friends’ wedding event, we decided to take a side trip to see Ft. Sheridan, one of the many places Ginny lived as a child when her dad Larry Bess served in the military (Mr. Bess retired as a Major after 20 years in the service). 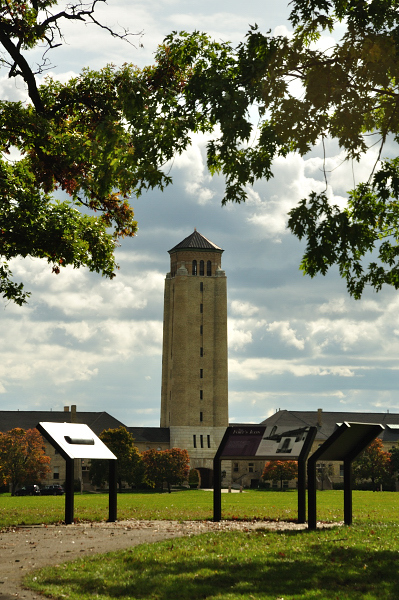 Ft. Sheridan was one of the military bases that Clinton’s administration closed in the 90s. Ginny’s family lived at the army base during some of Ginny’s elementary and junior high years. The base was eventually given to the county who poured money into developing the land. We arrived at the fort in the early afternoon. As we entered one side of the base, Ginny immediately recognized a tower and some of the homes that are still standing. She especially remembered a birthday party she attended at one of the Colonel’s homes. Some of these homes were renovated or added on to, but they were very much the way Ginny remembered them. She was a little emotional and nostalgic seeing some of the places of her childhood memories. We couldn’t find the neighborhood Ginny lived in, as they had the road we believed led to it gated off. The golf course she remembered has been converted into a forest preserve, but we were able to see some of the deep ravines Ginny, her brother, and the rest of her family climbed in to find golf balls that the kids resold once they cleaned them up. Ginny said that she spent many hours with her brother climbing in those ravines. The fort had changed a lot since Ginny was a child, but she thought it was still as beautiful as she remembered, and I could tell it held a lot of meaning to her. Ginny and I just got back to Culver from one of my best friend’s weddings in Chicago. It was great to be a part of this wedding, as I’ve been a friend of Chris’s for around 25 years, and Keri, his new wife, is such a kind and sweet person. Keri and Chris smiled throughout all the events and their happiness was contagious. I was a groomsman for the wedding, but Ginny and I still took some photographs. Chris had a wonderful photographer named Laura who is from Chicago. She did a great job of keeping everything running and organized. Not being the photographer, I decided to leave some equipment at home. I have to admit that it was nice to enjoy the event and not be responsible for all of the photos. I hope the photos reflect what a beautiful and fun event it was. I think Chris and Keri have great friends and family and they know how to throw a classy party. 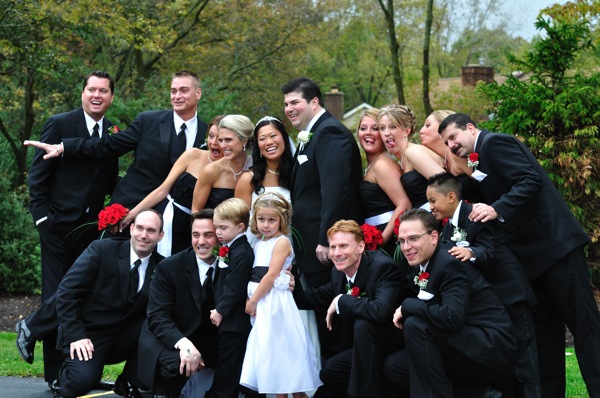 I apologize that in many of the photos, it is obvious that everyone’s attention was on the hired wedding photographer. Out of professional courtesy, we tried to stay out of the photographer’s way, as we know how tough it is to get the right shots when a lot of guests are in your way and taking their own pictures. This afternoon, Culver Academy hosted the Regional Tournament for boys and girls cross country. With clear skies and over a dozen schools being represented, it was a great success. 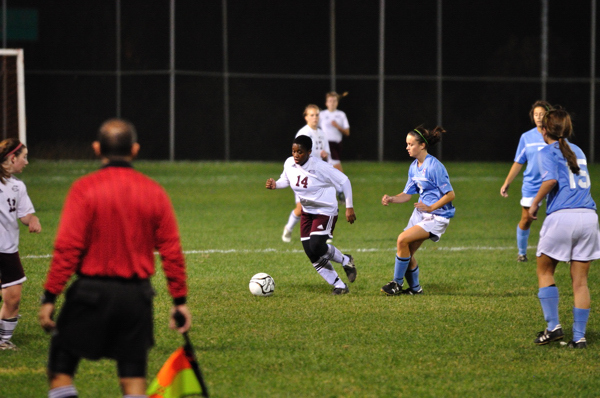 I primarily focused on shooting the Culver Community School Corporation and Culver Academy teams. Instead of creating four sperate blog entires (CCHS Boys, CCHS Girls, CHA Boys, and CGA Girls), I’ve decided to bunch everything into a single entry. On www.culverphotos.com. the photos have been divided out by school and team for easier viewing. I believe that Culver Academy placed first, second, and third in the boys event and first and second in the girls. 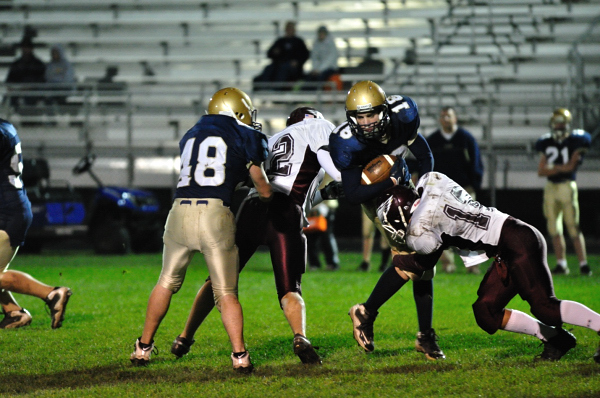 This evening, the Culver Academy JV Football team traveled to North Judson for one of the last games of the season. The weather was a little cool but much nicer than the weather that they’ve played in recently. The Eagles played well and made the Academy proud. The game started out with Culver Academy returning the first two kicks that they received with touchdowns. I was busy taking photos of the game and forgot to note the final score, but I believe it was 26 to 8. I’ve posted some of my favorite photographs here; there are several hundred more at www.culverphotos.com. It was another great day for a parade! Two Sundays in a row, the weather has cooperated with sunny skies. 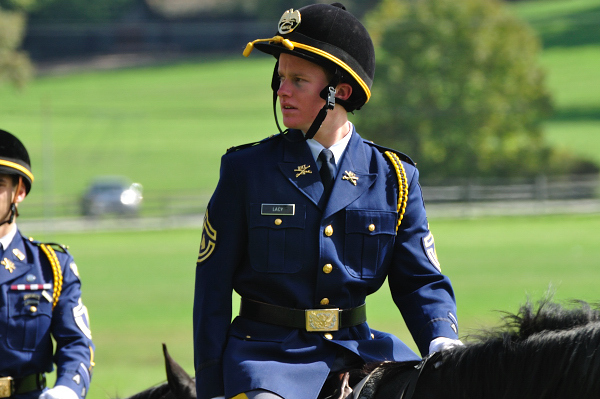 Once again, the corp of cadets and coeds looked surprisingly good considering how early in the school year it is. For this parade, not only were the troops and batteries mounted, but the girls flag corp was also included. This parade was the final event of the 2009 Fall Parent’s Weekend. I’ve included some photos here; there are many more at www.culverphotos.com.